Winter is here and the holidays have arrived! While it may not be 20 degrees and snowing here in Texas, that doesn't stop us from decorating and dressing up in our favorite holiday wear! Every season parents look forward to the memories they'll make with their family during the holiday season. From visiting Santa for a special family photo or decorating Christmas cookies together, we all treasure these moments every year. One of our favorite family traditions is decorating our home and our Christmas tree, it's something my children look forward to every year and it's the perfect time to gather the family around and spend some quality time together. I enjoy our family traditions and creating fun family memories is important to me as a parent. It's no secret that I love to shop for my children, especially once the season's change here in Texas, fall and winter clothes are my favorite! You never know what the weather is going to be like so I always like to dress my children comfortable and in pieces that they can layer if needed. 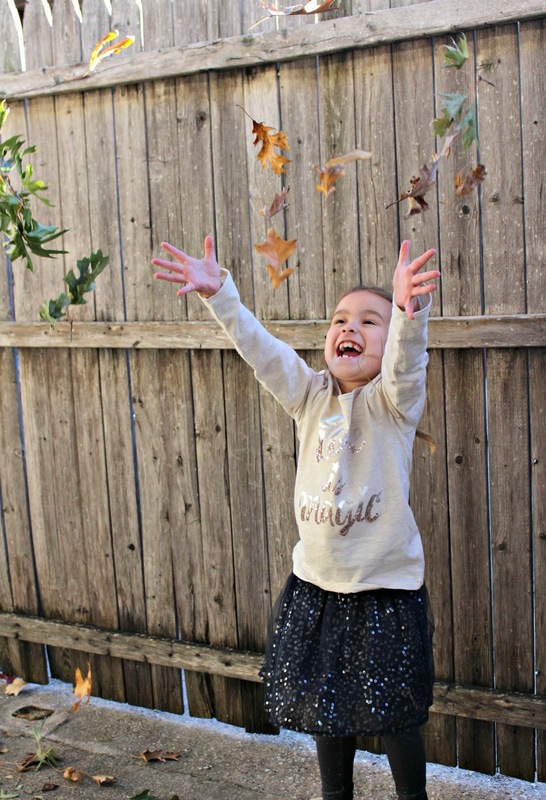 Even though it's December it doesn't quite feel like it yet, were still playing in leaves while other states are being blanketed in snow - that's Texas for ya! I picked out this adorable outfit for my daughter from my local OshKosh B'gosh store! 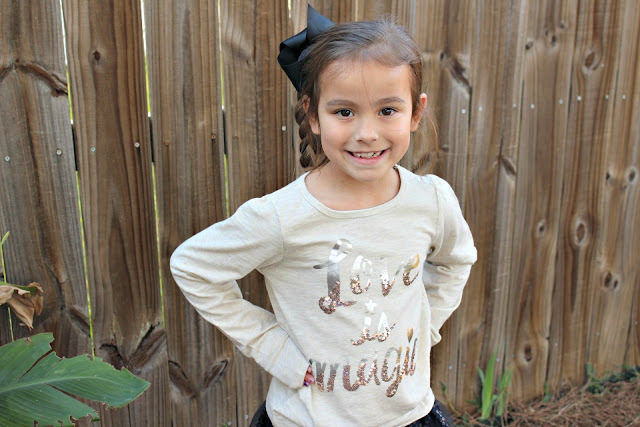 She is wearing an oatmeal "Sparkle Tee" with a navy "Sparkle Skirt" and charcoal "TLC Sparkle Leggings". My daughter loves this sparkly outfit, she says it's perfect for twirling and she's hoping Santa will notice how sparkly she is when we visit him soon to deliver her wish list! 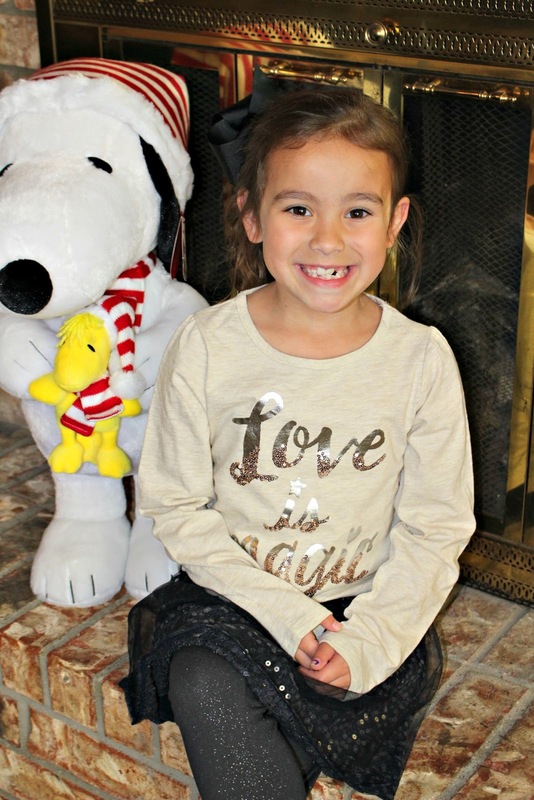 OshKosh B'gosh is my go-to store for all things for Little Sister C! From stylish and age-appropriate holiday outfits to comfy leggings and adorable tunics - you'll find everything you need to create the perfect magical outfit at OshKosh B'gosh! What are you looking forward to this holiday season? Are you ready to shop? Find your nearest store with the OshKosh B'gosh store locator. Use the coupon below to save 25% off your $30+ purchase! 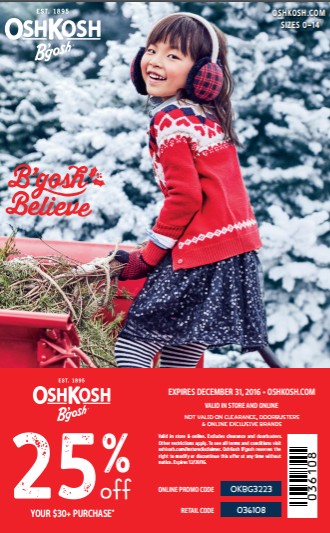 One lucky reader will win a $50 gift card OshKosh B'gosh gift card! Open to US residents, ages 18+ and ends on 12/22/16 at 11:59PM EST. Enter using the simple Giveaway Tools form below. Winner will be drawn at random, Facebook, Twitter, Pinterest and any other social media are not affiliated with this giveaway. Good luck! We love their clothes! So cute!